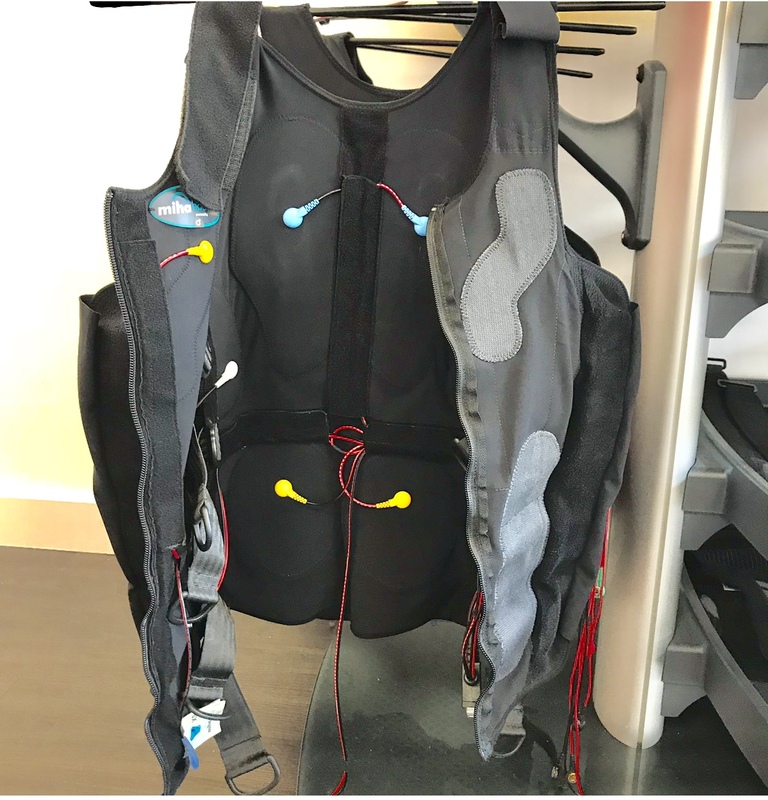 "Combining EMS with exercise is a very targeted way of super-charging the effects of your workout. 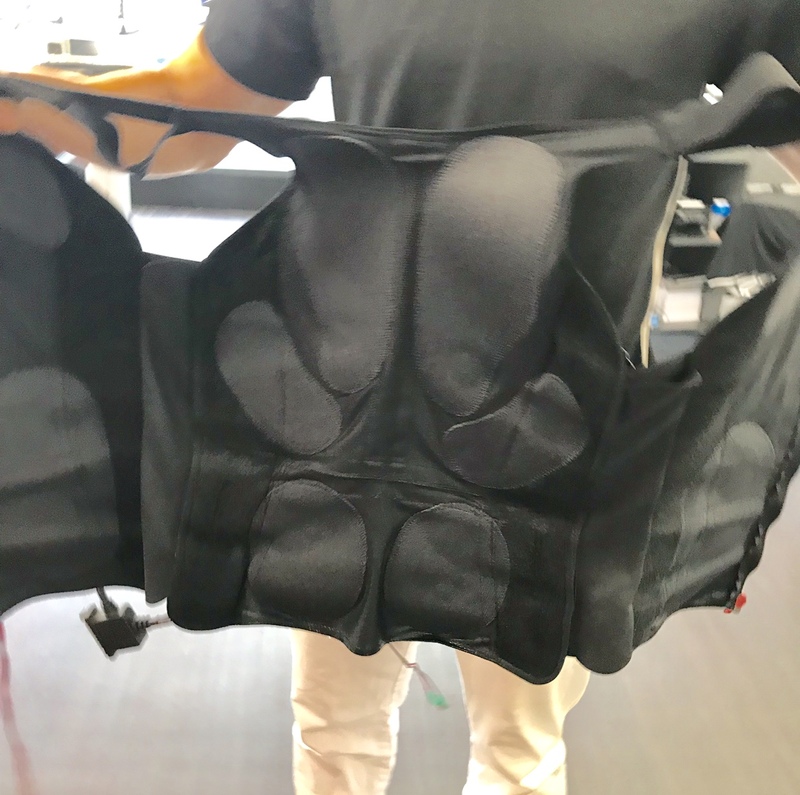 Deep muscles are stimulated far more effectively than through conventional exercise alone, making every move stronger and delivering visible improvements more quickly." Sounds scientific doesn't it! It is indeed used in space as astronauts suffer with "extreme skeletal muscle atrophy due to extended periods of microgravity". I wasn't sure quite what to expect when I arrived but I had a quick telephone consultation beforehand and was told I didn't need to bring anything, no sports gear......just come as you are. Intriguing! When I arrived I was greeted by a very swish looking studio. First things first, there were a few personal details to fill in. 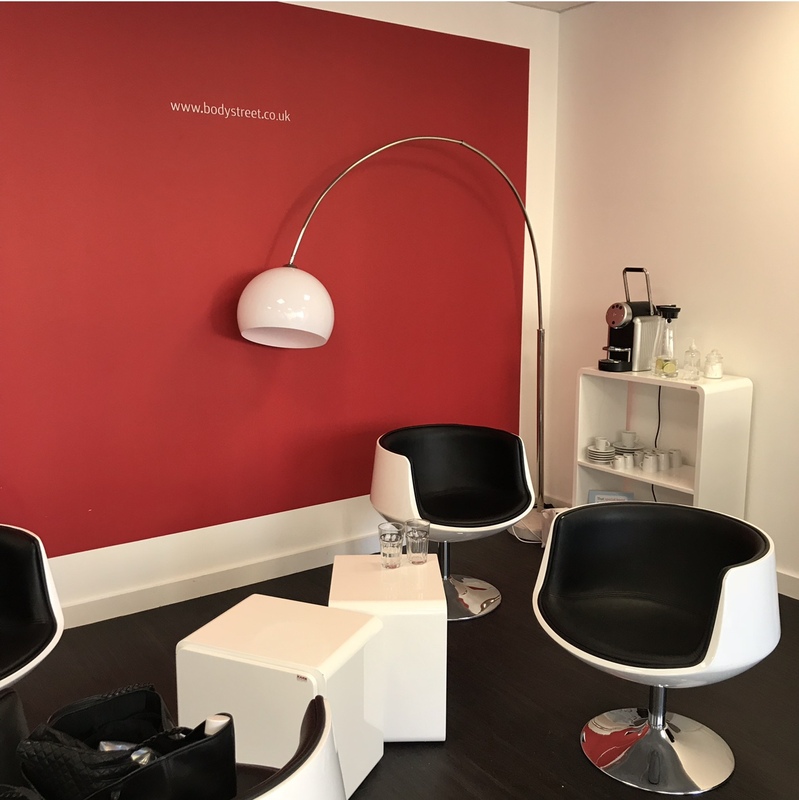 We talked about the areas I want to improve which are basically toning the top of my legs & bum as well as firming up the tummy area and the bingo wings. Once you are ready to go you are given a tray with an outfit leggings, t shirt & socks to change in to, a towel is also supplied for you. Once you've changed your instructor can be found spraying down what looks like a wetsuit/life jacket with water as this makes the electronic pulse more conductive. It's a strange sensation getting a the wet jacket but once you are moving you don't notice it. 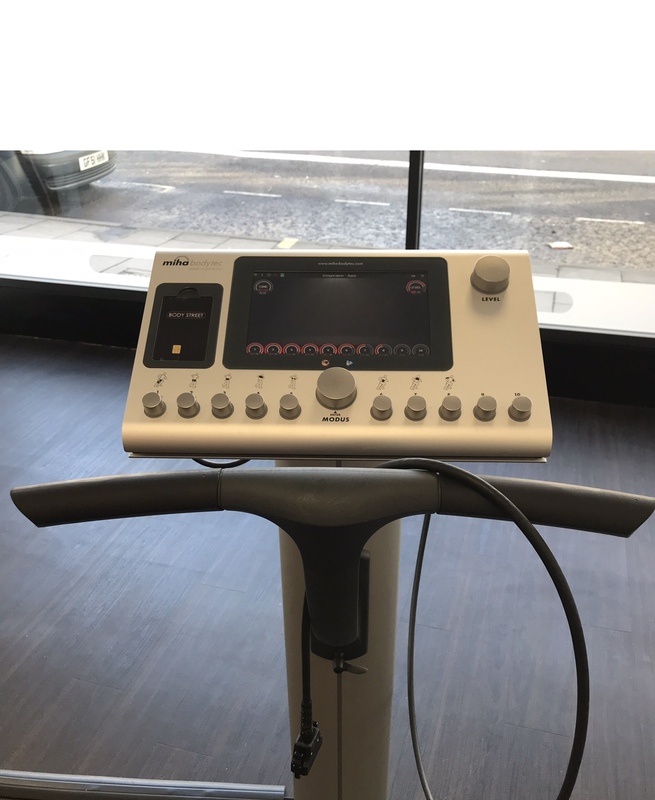 I was then hooked up to the machine and put through my paces with a fitness instructor who would occasionally push against me for the extra resistance. How does it feel? You have 4 seconds on, 4 seconds off (giving your muscles a break to shake off the lactic acid!). I would describe the electro as pulsing whilst they are on and you feel a tingling sensation. Your levels can be adjusted to suit but obviously the higher the level you can go the quicker you are going to get results you want. The benefits are that usually when you train at the gym you would only use between 40-70% of your strength potential. 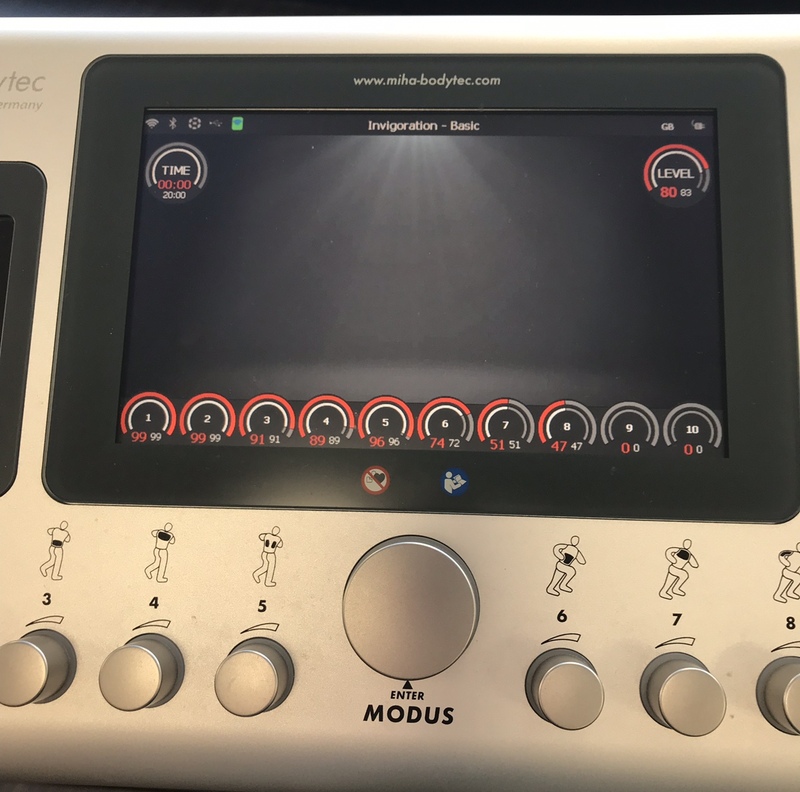 With EMS improves how your muscles work together and increases the intensity of your muscle contractions, enabling your body to use up to 90% of it’s potential - achieving more, in a shorter time. That's it right there in layman's terms.....however if you wish to read the full low down see here. When I have my next appointment we are going to take measurements so that I can track my improvements. I will also take some before and after photos. I look forward to have some tangible evidence to share. Whilst I was in the studio a lady came in to do a workout, it was her second session. 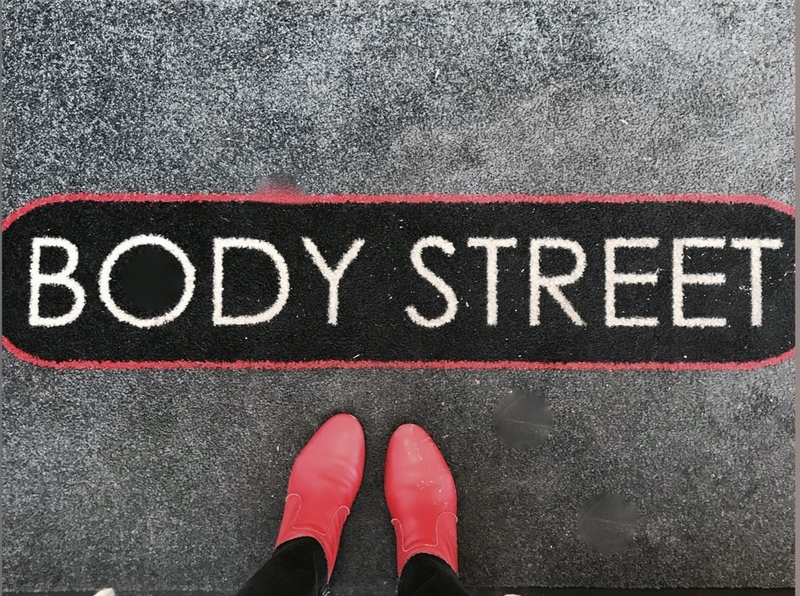 She had been suffering with some neck pain (seeing a chiropractor regularly) but she was surprised to find it had disappeared after one session at Bodystreet. Such a great endorsement to hear on my first trip! Hearing that coupled with the fact that I have ached slightly ever since I left the studio has left me feeling very confident that I am going to see some great results very soon (hopefully within 4-8 weeks). 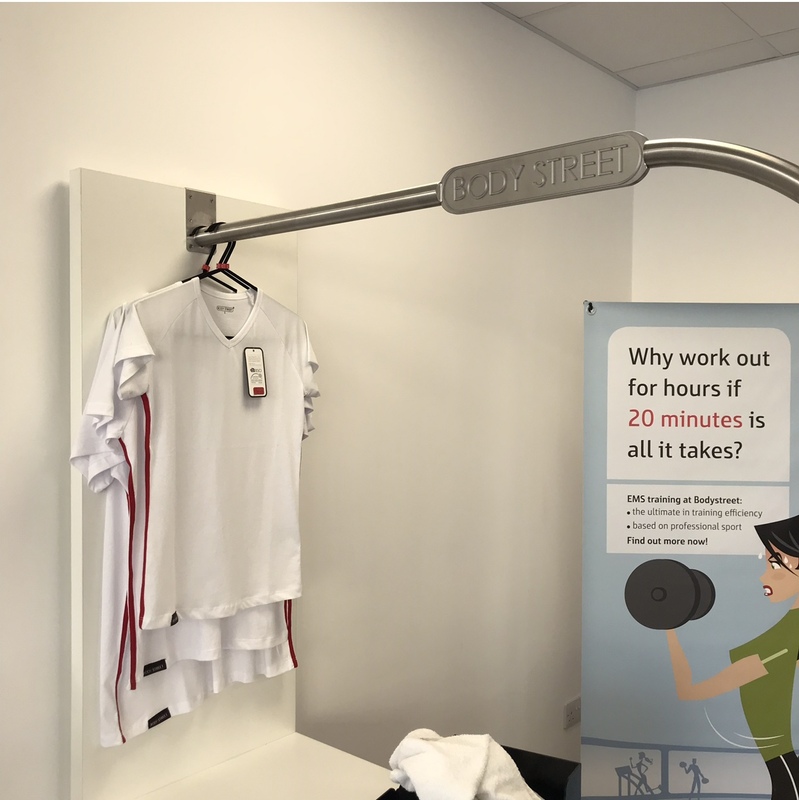 You can find all of the information that you need here on the Bodystreet website and you can follow them on Instagram here. Sessions start at £19.99. As I said I will keep you posted week on week about how the training is going. If you are short on time or just don't like spending hours in the gym this could be the perfect way of toning up without the slog. Anybody could incorporate this into their day, just once a week so I hope I've inspired some of you! I should be in the toned up shape I want before the next time I bare my bikini body! So there you have it. The first of my #2018goals. How are you getting on with yours? Recent outfit round-up - today's work stuff! 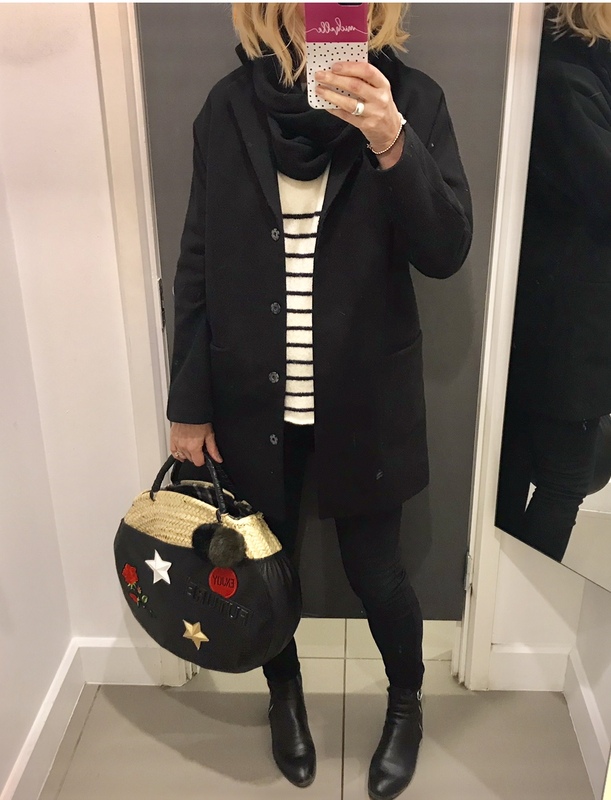 Toyshop black coat past season alternative here Toyshop sweater, past season alternative here Topshop jeans Topshop boots John Lewis cashmere snood, sold out alternative here Bison Paris bag I'll be back on Sunday with a bit more retail therapy. Wishing you a great weekend! 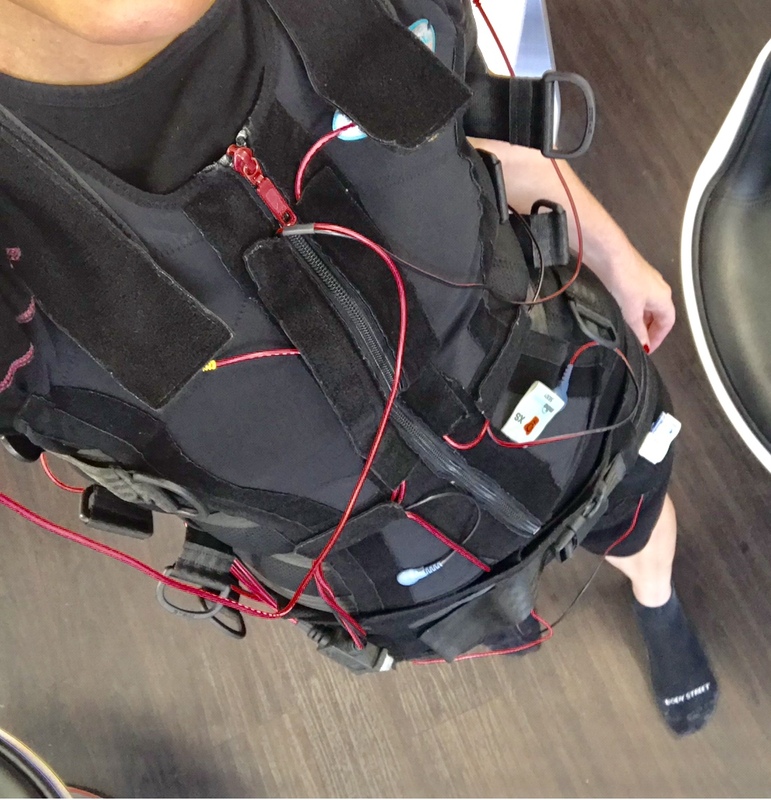 Not to deter you from your workouts - but in Israel the ministry of health has issued an advisory regarding EMS use for exercise and losing weight (http://www.jpost.com/Business-and-Innovation/Health-and-Science/Non-medical-use-of-electric-muscle-stimulation-is-dangerous-ministry-441187). Honestly - pilates would most likely be a more healthy choice, leading to the results you're looking for. Reading with interest as the areas you've mentioned wanting to tone are the same as mine. It's frustrating as I have always eaten what I want and have been an active person - I've always been a size 8 (10 max) but lately (age, I suspect) I seem to be turning into mashed potato. 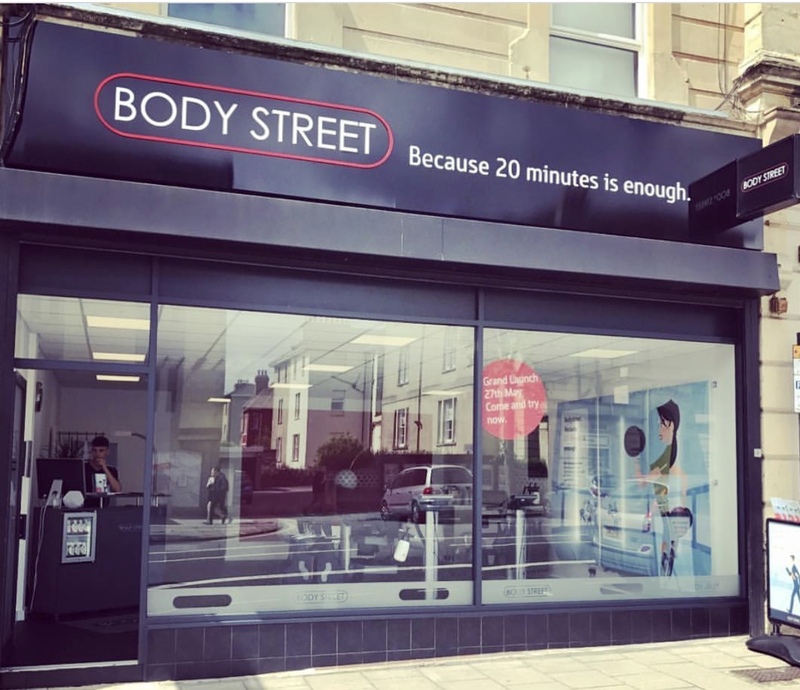 We don't have Body Street anywhere close here, but I'm going to go back to Pilates Reformer because not only am I out of shape, I seem to have also developed some back pain. I love Barre and do it regularly in the summer when I'm less busy with work, but I'm not in physically good enough shape to start back yet - it's a killer! I will be interested to hear your progress with EMS. I absolutely love your bag! I messaged Catherine the other day about getting one for myself (I've been waiting for her to put them online forever) so I hope she gets back to me because I feel an obsession starting! Hi Marie! I've just had my second session this morning.....I'm feeling energised! Today we actually did lots of measurements, first with a tape measure then on a machine for weight, BMI amongst a host of other things. This will be a brilliant way to track my progress, I'm quite confident that it won't be long before I see the results. I've also taken *before* photos which have already made me feel a bit better about things! I will report back in a couple of weeks about how it's all going.